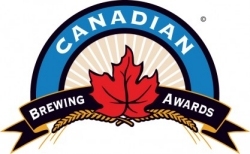 TORONTO, ON – The winners of the Canadian Brewing Awards for 2011 were announced last night during a gala ceremony at 99 Sudbury in Toronto. The judging, which was sanctioned by the Beer Judge Certification Program (BJCP), took place in late August. Gold: Moosehead Lager, Moosehead Breweries Ltd.
Silver: Moosehead Light, Moosehead Breweries Ltd.
Silver: Moosehead Pale Ale, Moosehead Breweries Ltd.
As always these things are usually a good assessment of who enters. And as always the matter of who enters determins the validity of the outcome. Glad to see King recognised as a great craft lager maker and their true Vienna take an award. Way to go Fat tug !!! Driftwood is the Bomb !!!!!!!!!!!!!! Driftwood is the Best Beer around Son ! !